What is Skillshare and What do we do? 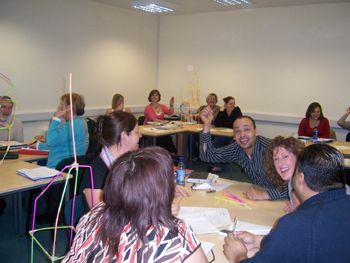 SkillShare North East is a social enterprise established in 1991 by Hartlepool residents and community groups. 5. Provide opportunities for people to come together informally to share experience and learn from each other. SkillShare offer a wide range of courses designed to support both personal and organisational development. We offer both accredited and non-accredited learning opportunities, short courses and those which may be delivered over several months. We are flexible in our approach to delivery and are able to try to accommodate groups who prefer to participate at a pace tailored to them.